Long-time IAM leader and political activist John Jefferies of Baltimore, MD has passed away. He was 82. Jefferies was born in New Jersey, but early on moved to Baltimore, MD. He served in the U.S. Marine Corps during World War II and then proceeded to get an education in labor and politics. In 1963, Jefferies joined the IAM. He served as a local lodge officer and then as Business Representative and Directing Business Representative of former District Lodge 12 for more than 16 years. 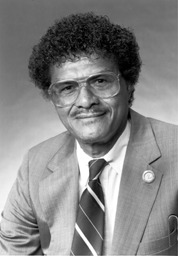 He also served many years as a State Senator, in Maryland’s House of Delegates, as well as serving on numerous committees and councils, including presiding as Chair of the Maryland Legislative Black Caucus. In May 2010, at a dinner in his honor, Jefferies was recognized by a host of family, friends and peers for his 50 years of activism on behalf of working families. Jefferies “retired” in 1995, but at the time of his death, he was serving as President of the MD/DC Council of Machinists, Vice President of District 4 and Communicator for Local 1784. He also volunteered his time in the IAM’s Eastern Territory training new lodge officers.